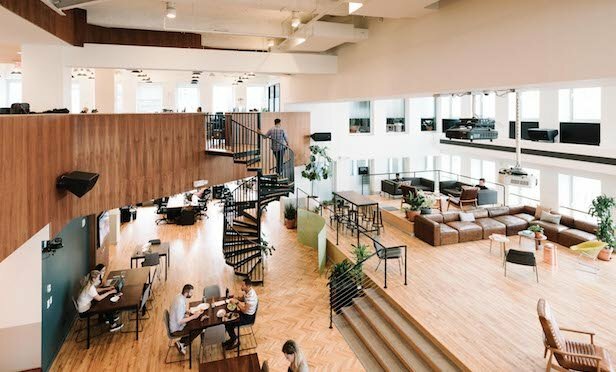 The co-working office provider signed two new leases for their HQ by WeWork program. NEW YORK CITY—WeWork recently agreed to two leases for more than 45,000 square feet in Manhattan. The co-working office provider that now occupies more space than any private company in Manhattan has signed a deal with landlord Stellar Management for 34,500 square feet, taking the third, fifth and 12th floors at 50 W. 28th St. The Chelsea building that’s between Fifth and Sixth streets, is close to Koreatown and the Garment District. WeWork expects a member to move in by March.